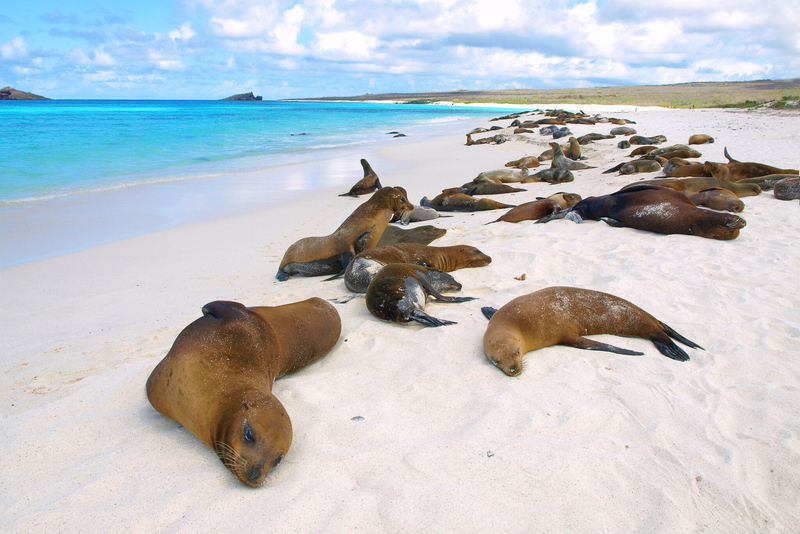 Visiting the remarkable Galapagos islands by ship is the very best way to experience them. And whether you’re looking for “trip-of-a-lifetime” luxury, wallet-friendly budget options, or a truly fantastic scuba experience on a fully-equipped dive boat, there are plenty of choices to suit everyone. As a Galapagos cruise has become more and more popular, it has also become more challenging to navigate your way through all the options and choices. 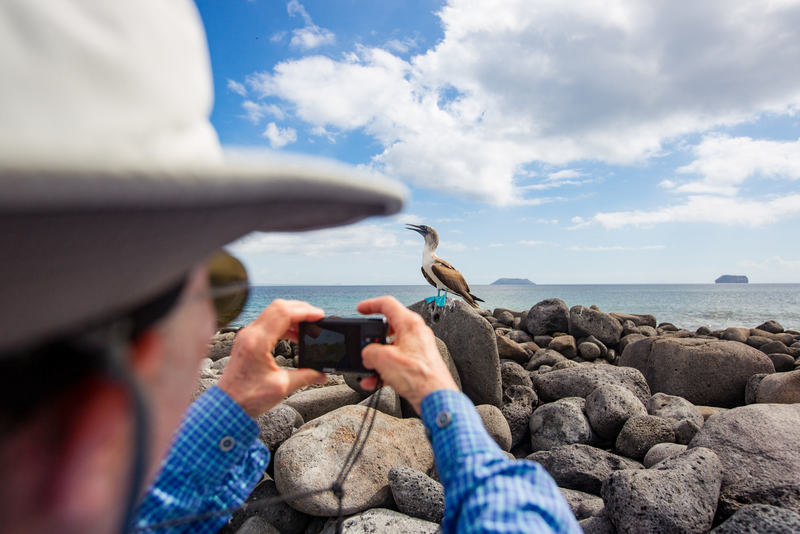 We asked Galapagos Islands cruise experts Galapatours.com to put together their top 5 tips to choose the perfect cruise that will give you the real Galapagos experience. The Galapagos Islands are some 600 miles off the coast of Ecuador, and they straddle the equator. Because of this, they tend to be viewed (and sold) as a fully year-round destination. While this is true, we recommend you avoid visiting in September. Because of the confluence of cold and warm currents and their seasonal changes, this time of year tends to bring cooler, windier weather. This tends to make for bigger waves and cloudier skies – not a great combination for sailing, particularly if you are prone to motion sickness. If you are looking for particular wildlife encounters, then you might like to schedule your visit to coincide with the highest activity. Most of the unique Galapagos species are resident in the islands and can be seen all year round, including iconic species like the Blue-Footed Booby and the Waved Albatross. 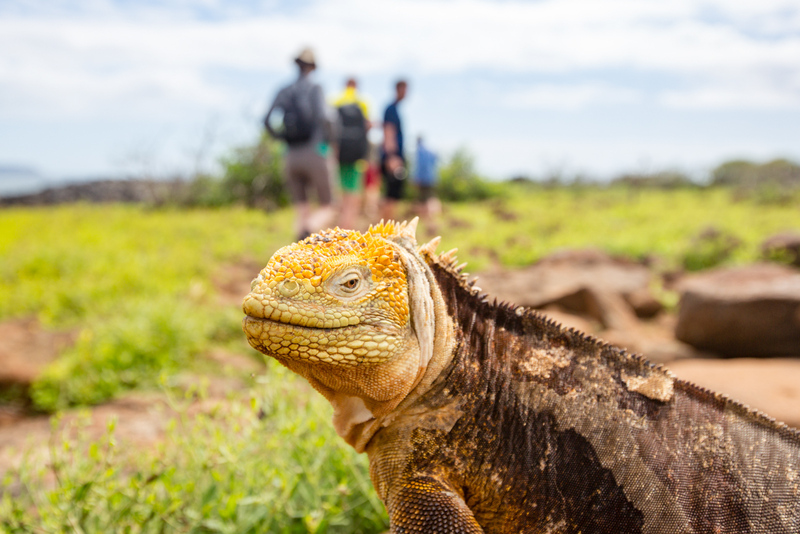 You’ll also see all of the unique land species active throughout the year, including the stunning Galapagos Giant Tortoise and fascinating Marine Iguanas. However, there are several visiting creatures whose activities peak seasonally. If you want to maximise your chances of seeing whales and dolphins, then it’s best to visit in the cooler months between July and November. This is also the best time for divers to swim with larger species like Whale Sharks and more. The “peak seasons” for tourist visits to Galapagos are Easter, July and August, and Christmas. These times see the highest numbers of visitors to the islands, and most boats will vary their prices according to demand. It’s always worth planning your journey well in advance and comparing many Galapagos cruises to find your perfect deal. Most of the ships offering Galapagos cruises have several lengths of itinerary to choose from. These range from 4 day short cruises up to 14+ day adventures that take in the whole of the Galapagos archipelago. Because of the fragile nature of the Marine National Park boats are not allowed to visit the same places too frequently. 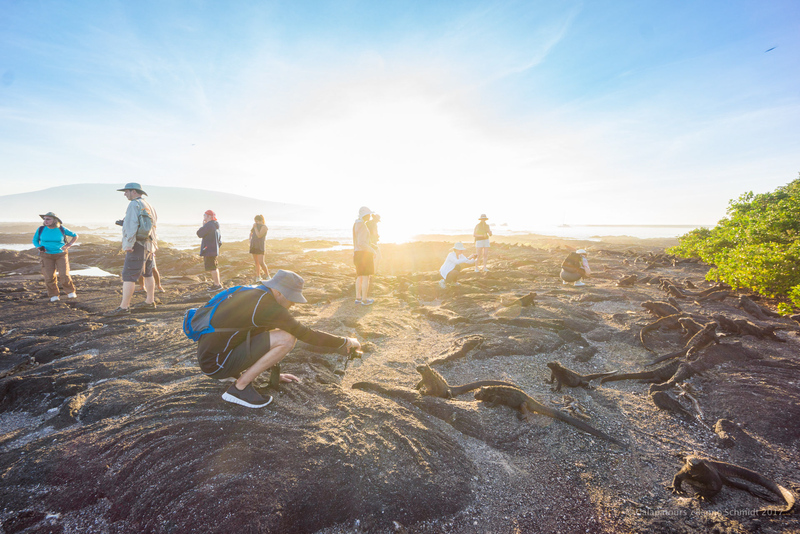 This means that most will offer you a range of itineraries that each takes in a different part of Galapagos, or a varied range of visitor points. It’s usually possible to join two routes together, and although this means one day is spent dropping off passengers and picking up new ones it’s no real hardship to relax on board while you wait! We strongly advise that you don’t choose a 4-day cruise. Because half a day is taken up with transfers on the first and last day, you’ll end up only enjoying three days on board. This isn’t enough time to even scratch the surface of what the Galapagos can offer, and we recommend a minimum of a 5-day cruise in the archipelago. 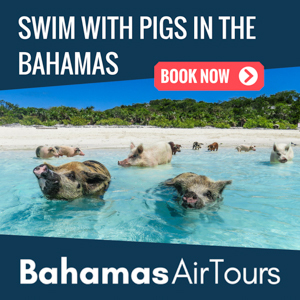 This extra day will allow you the time to see more of the iconic sights and creatures of the islands, and the small additional cost above a 4-day itinerary is worth it. If you can, choose a 7+ day cruise. 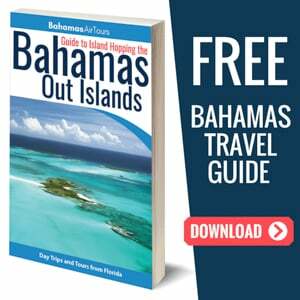 This will give you enough memories to last a lifetime and a real appreciation of the wonders of these fragile islands and their endangered wildlife and habitats. 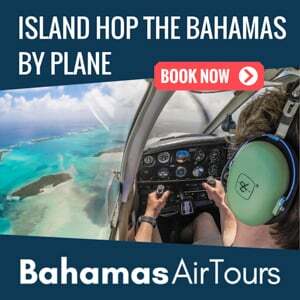 If your focus is to experience flora and fauna of the archipelago and you have a fixed budget, then our recommendation would be to drop down a ship class or two and go for a more extended cruise. You can see all the categories and price ranges of the Galapagos fleet on the Galapatours.com site. 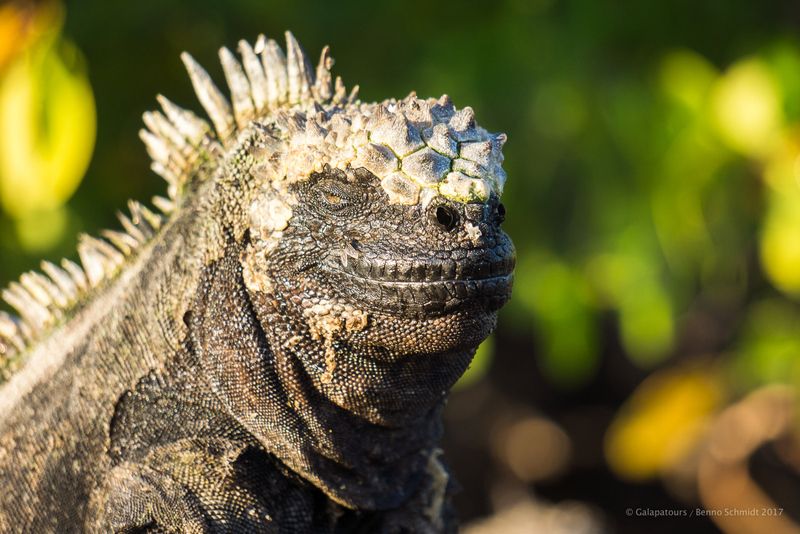 This can be the most daunting task for anyone planning a Galapagos Cruise. Because each ship offers several different routes to choose from you can easily find yourself with tens, if not hundreds, of options! How do you narrow down the choices? All of the 14 main islands that make up the Galapagos have something to offer, but we particularly recommend visiting Fernandina, Isabela and especially Genovesa. If you choose a cruise itinerary that visits those three, then you can be confident of enjoying a “real” Galapagos experience. If you can’t stretch to anything other than one of the short itineraries, then make sure that at least one of these is on it. Between them, these three islands offer the most “bang for your buck” when it comes to stunning scenery, remarkable habitats and iconic, unique Galapagos wildlife. Genovesa, in particular, is the destination for bird-lovers, and its inhabitants include the Galapagos Lava Gull, the rarest gull in the world. In our opinion, the main inhabited islands of Santa Cruz and San Cristobal are the least interesting to visit in regards to their wildlife and habitats. They do have great beachfront town vibes (including a good and growing surfing scene on San Cristobal) and plenty of places to eat and drink and soak up “island life”, but we think these are more appropriate for a land-based hotel stay. As we mentioned earlier, several cruise vessels will allow you to book two itineraries “back-to-back” to create a fantastic extended trip. The changeover day in the middle will see you docking at one of the main islands for the other passengers to transfer to the airport, so this gives you the ideal opportunity to explore the town for a few hours before you are ready to sail again – perhaps the best of both worlds! 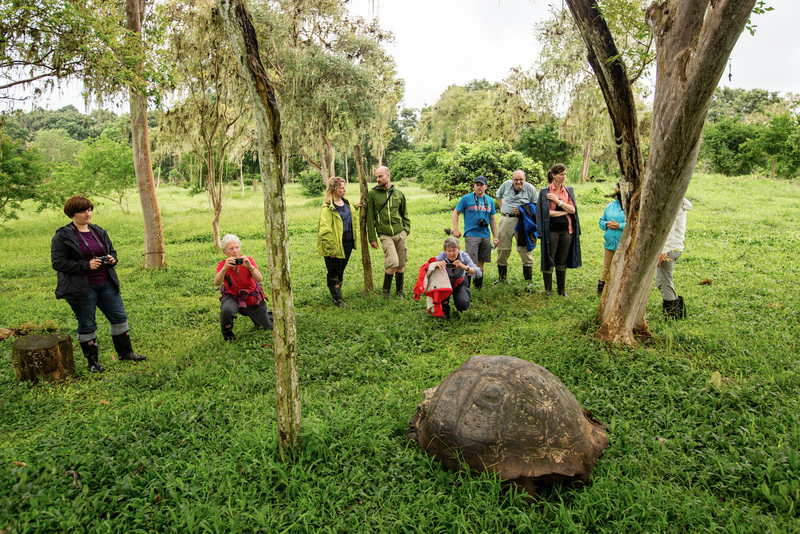 We know this can be the most difficult choice for you to make, so our travel advisers all have extensive experience of the Galapagos and are more than happy to help you choose the best itinerary based on your needs. Feel free to call, email or live chat with them for a personal service. Read more about the different islands in the Galapagos. It’s a common misconception that all Galapagos cruises are stunningly luxurious with a price to match. 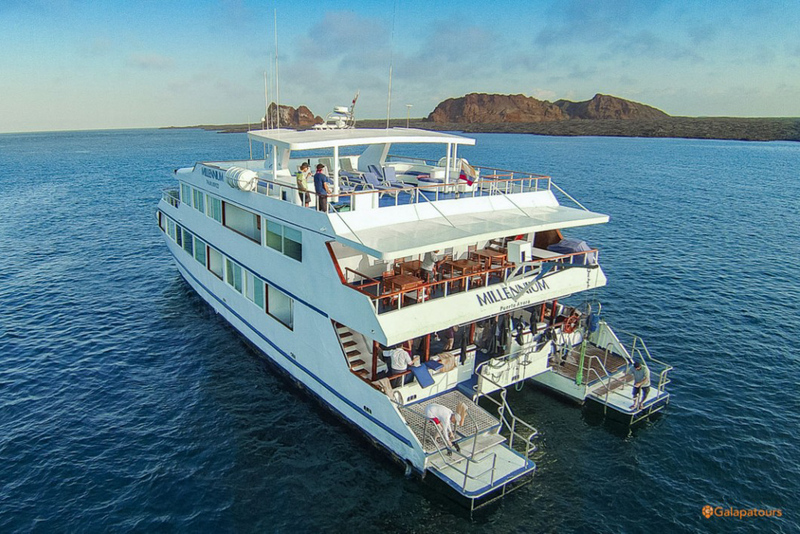 While it is true that there are some remarkably opulent and exclusive vessels cruising the Galapagos, there are also plenty of boats to suit all budgets. One factor that’s often overlooked… If you are prone to motion sickness then choosing a larger vessel (like the Galapagos Legend), or a catamaran (such as the Millennium) or a single-hull ship with stabilizers (such as the brand-new Galapagos Infinity) are all excellent options for you! 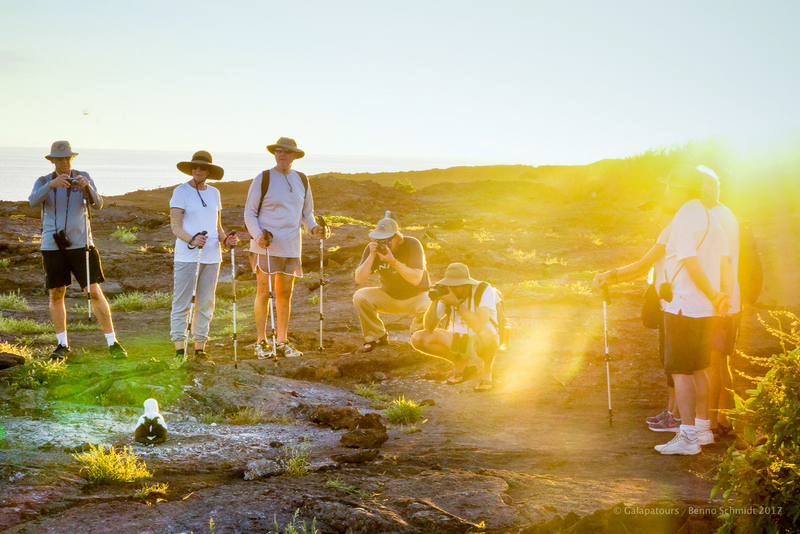 For many people, the Galapagos Islands are a “trip-of-a-lifetime” destination, and after working hard to be in a position to visit the islands, they want to experience them in style. For those who want to see everything the archipelago has to offer while living in the lap of luxury, the Luxury Class Galapagos cruise ships can provide everything you need. Galapagos Luxury Class ships are typically purpose-built for the islands and have been fitted out with stunning decor and furniture that could grace any 5- or 6-star hotel, and most include extra amenities such as sundeck jacuzzis and private balconies, and they enjoy the highest staff-to-guest ratios. Some have been painstakingly converted from their previous role as private luxury motor yachts. Their levels of service, attention to detail and stunning cuisine all contribute to giving you a remarkable experience. For the true Hollywood A-List experience some ships, like the phenomenal Stella Maris, are available for exclusive charter – a real experience of a lifetime for most of us! If you are looking for a slightly more affordable experience that is still luxurious, the First Class Galapagos fleet is a wonderful choice. These ships enjoy good size rooms, stunning decor, and superb food. They will have a superior staff-to-guest ratio meaning you will enjoy excellent service. 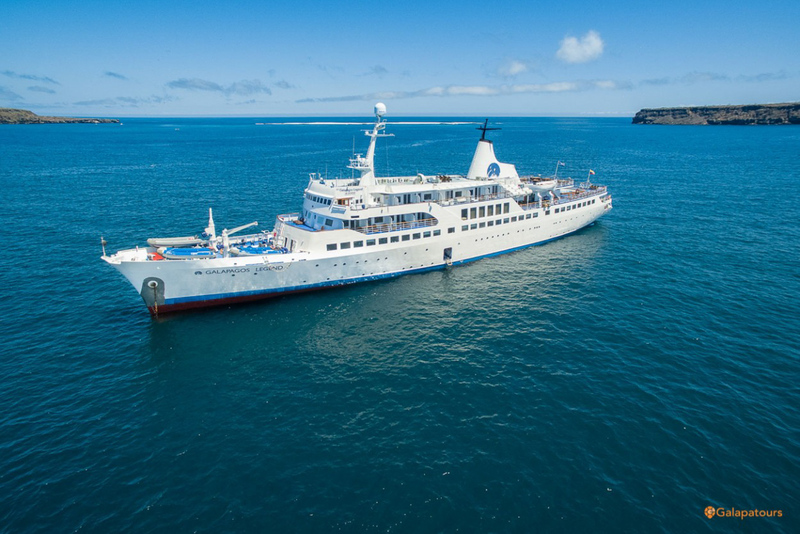 For a great overall balance between budget and facilities, the Mid-Range Galapagos Cruises are a very popular choice. You typically won’t find these vessels offering you bunk beds, but cabins will be smaller than the higher class vessels. These are often slightly older vessels without the cutting-edge interior design, or they are newer vessels that have been custom-built to offer a Mid-Range experience. There are unlikely to be extras such as private balconies or jacuzzis on offer in this range. However, they still pride themselves on providing excellent service and great food with good staff-to-guest ratios, ensuring you have a fabulous time. Finally, for those who don’t mind sacrificing luxury for great value the Budget Class ships in the Galapagos fleet may be just what you are looking for. Often older or smaller vessels, you’ll typically find smaller cabins, and usually bunks rather than double beds. Cabins may have small windows or portholes only, and while everything will be clean and well-presented, you won’t find luxury linens or designer fabrics. These boats are ideal for those who want to experience the Galapagos Islands first and foremost. 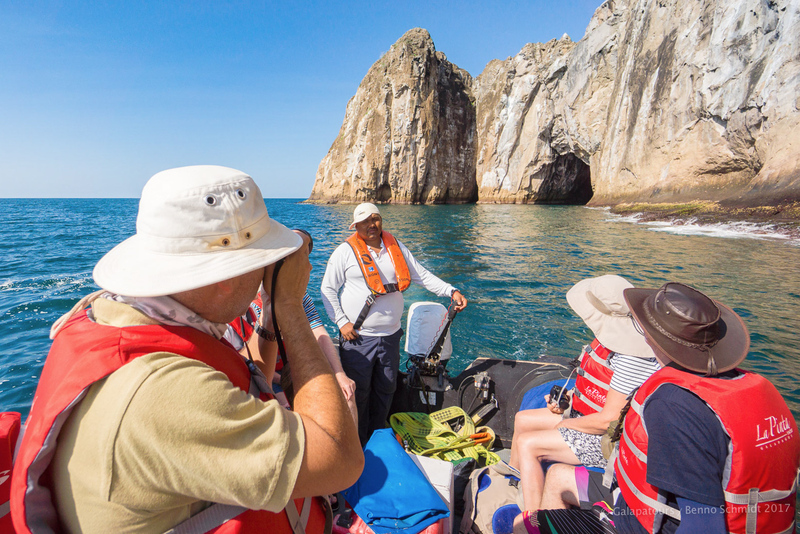 Think of the budget class vessels as a way to travel between your Galapagos experiences with comfort and like-minded travelers, rather than as part of your holiday “experience” and you won’t go wrong with these great value Galapagos cruise options. Often something that’s overlooked, at Galaptours we make sure all out guests receive a “kit list” that we know from our own experience will make your stay in the Galapagos archipelago a fantastic one. Here are just a few key things you should bring with you. Even on the most Luxurious Galapagos cruise ship, informal is where it’s at. There’s no “black tie” for dinner! Pack comfortable, cool and easy-to-wear clothing. The equatorial sun is fierce at all times of the year, so clothes that cover shoulders, arms and legs and a hat are essential! Before you go, speak to your healthcare provider for their advice on travel vaccinations for your trip to South America. Make sure you have any required shots at least eight weeks before you travel to ensure you have good immunity. The Galapagos has two hospitals on the main islands of Santa Cruz and San Cristobal, but it’s important to remember that you are in the Pacific Ocean 600 miles from the mainland and that medical and pharmacy services are naturally limited. Make sure you bring enough prescription medication if you need it to cover your entire time in South America. If you’re prone to motion sickness, you might also want to bring some appropriate prescribed or over-the-counter medication with you. Please also remember to get full travel insurance that includes comprehensive medical and evacuation cover before you travel – common sense wherever you go in the world! And sunblock. Lots of it. Applied frequently. We mean it. We’ve seen people with very painful burns from just one excursion, so don’t forget to pack it and use! The Galapagos are a predominantly cash economy, primarily due to their remoteness and the difficulty in getting internet services throughout the islands to process other forms of payment. Some cruise boats and most good restaurants, hotels and tourist shops will take major credit cards in payment for goods and services, but they will all levy a charge for doing so to offset the fees they must pay. The travel specialists at Galapatours.com recommend safely carrying about $400 per person in cash. Note that the higher classes of cruise ship will have safes in your cabin. You can’t come on your trip of a lifetime and not document the wonders you will see! Remember to pack your camera hardware of course, but we also suggest bringing plenty of large memory cards and several spare batteries. That way you won’t have to “ration” your shooting. Many boats have 110v outlets with standard American sockets. Some offer 12v or 230v as well. Check what facilities your ship has and bring any required converters/transformers with you. Mobile phone signals can be intermittent to non-existent around the uninhabited islands, and public internet and wifi connections are rare and often incur charges. We suggest you enjoy the splendid isolation of the Galapagos while you are here and catch up with the “real world” when you get back to the mainland! Galapatours.com is an online booking portal for cruises on the Galapagos Islands. The only portal worldwide with information on all ships and their travelling dates provides an unparalleled, personalised service of ship comparison. Its team members all know the Galapagos Islands and all ships personally and will gladly assist you with any question you have about your dream holiday.